Kathleen Budge brings a blend of 26 years of practical experience as a teacher and administrator combined with more than a decade of work dedicated to bridging the gap between the university and the teaching profession. She is an associate professor of Educational Leadership and chair of the Curriculum, Instruction, and Foundational Studies Department at Boise State University, where her research focus on poverty, rural education, school improvement, and leadership development. 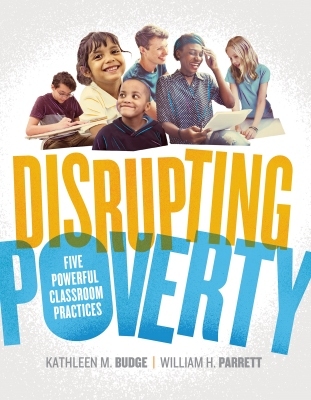 Budge is co-author (with William Parrett) of the 2012 award-winning book Turning High-Poverty Schools into High-Performing Schools, and the video series, Disrupting Poverty in Elementary and Secondary Classrooms. She has conducted numerous presentations at international, national, and state conferences and served as guest speaker for webinars, podcast, and symposiums related to the topic of poverty and the whole child. Budge's consultancies include state departments, boards of education, education associations, state and regional service providers; as well as schools in 15 states and 3 nations. She earned her doctorate from the University of Washington in 2005. Budge continues to maintain that her most important and significant work has been teaching 1st graders to read.